California - A monkey in Sulawesi, Indonesia, who had become a news for her selfie photo with a smile, was named 'Person of the Year' by an international group of animal rights fighters PETA. 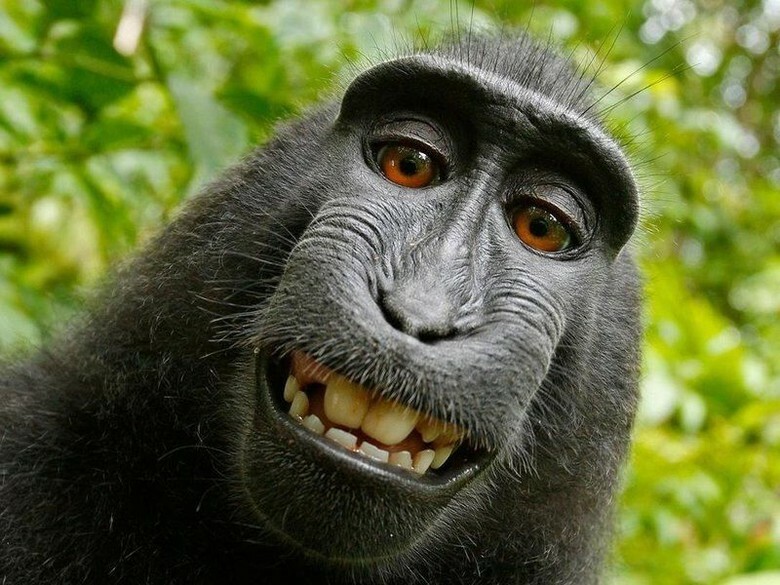 Photos of this monkey selfie had reaped a copyright lawsuit in the United States (US). The MAP, which stands for People of the Ethical Treatment of Animals, says it respects a macaque type named Naruto by acknowledging it as 'somebody, not something'. In 2011, the monkey pressed the shutter button while settling the camera lens belonging to a natural photographer from England, David Slater, in Sulawesi. This selfie photo of the monkey became viral and PETA then filed a lawsuit claiming a monkey named Naruto, who was 6 years old, must be declared the 'creator and owner' of the photo, entitled to hold the copyright. "Naruto's historic selfie challenges the idea of ​​who is and who is not, and culminates in the first lawsuit that seeks to declare a nonhuman animal as the owner of the property, rather than declared as property itself," PETA founder Ingrid Newkirk his statement. The lawsuit filed by PETA has sparked an international debate among legal experts about the personality for animals and whether animals can own property. Slater photographer won a lawsuit hearing in California, USA. He got the copyright on the photo because he was the one who triggered the monkey to take his own selfie picture. Slater had put his camera on a tripod and walked away for a few minutes, before realizing the camera had been held by the monkey. The PETA then appealed to a higher court for this lawsuit. But the case was finally finalized in September, before the court handed down its verdict. Slater agreed to donate 25 percent of every income he received from the use and sale of the selfie monkey photograph, to protect the monkey's habitat in Indonesia. 0 Response to "The Selfie Monkey Indonesia Selected So 'Person of the Year'"